Ethiopian Beta Israel arrive at the Ben Gurion airport, outside Tel Aviv on August 28, 2013. 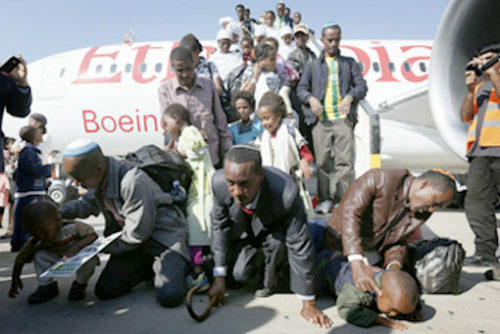 Some 450 new immigrants from Ethiopia were brought to Israel as part of the ‘Operation Wings of Dove ’ operation launched three years agoby the Jewish Agency to bring the remaining Falash Mura – Ethiopian Jews whose ancestors were forced to convert to Christianity – to Israel. Photo by Miriam Alster/Flash90. There are only 14.4 million Jews in the world. We were 17 million in 1939 and that fell to 11 million as of 1945 due to the genocide that was committed against us called the Holocaust. Because our numbers are small, and because we were genocided, we are a very small family, but make no mistake, we’re a family. We are all connected. We are also highly aware of the hate that has been levied at us for millennia. The hate against us is the oldest hate on the planet. In every corner of the world, you can find Jewhaters. They can be found in Christian countries, Muslim countries, African countries, secular countries. Jewhaters can be found in Republican or Democratic homes. Jewhaters live among us in every country on this planet. The only country in the entire world where Jewhatred is not tolerated is Israel. Israel is the only country whose government has a very primary goal of protecting the lives of Jews. When the beating of the antisemitic drum gets too loud, we have a place we can escape to-finally. This is why Israel is essential to the survival of the Jewish people. This is a good part of why Jews support Israel. Another reason Jews support Israel is because it’s inherently part of the Jewish faith. Israel and Jerusalem are mentioned numerous throughout the liturgy of every Jewish service. Returning to Israel is part of Judaism. Jews who have already returned to Israel have a different set of rules to follow in Judaism because they’ve returned. Jews in the diaspora have two nights of Passover, whereas Jews in Israel only have one night. Every Passover, Jews recite “Next Year in Jerusalem.” It’s within us. Most Jews have known that the antisemitism in the U.S. is a serious threat to Jews. As I watch Wolf Blitzer speak and say that his parents would’ve been shocked that this could happen here if they were alive, it’s sad to me that I knew this would happen here. It’s happened here for centuries but in microdoses. This is the first macro, but I’m not surprised. Israel isn’t perfect by any means, but it’s probably more perfect than the U.S. It didn’t invade a sovereign country to displace anyone (despite what you’ve been told), and it provides for its citizens, be they Arab or Jewish. When you demonize the only Jewish country on this planet, you’re engaging in antisemitism. Speak very carefully. Debbie Hall is a writer and activist living in Florida. 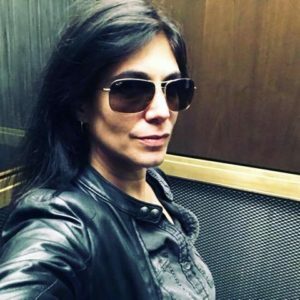 October 28, 2018 New York, NY– Nisi Jacobs, a New York City-based 3D video editor and founder of WoMen For All, is no stranger to bigotry. Growing up in Binghamton, New York, in the late 1960s and early 70s, Nisi recalls being unwelcome into her neighbors’ homes because she was Jewish. When her group of friends would go have lunch together at one of their houses, she would wait outside on the steps. When Nisi was four-years-old, the neighbor across the street from her family’s home threatened to shoot her when he found her walking on his lawn boundary, “if I catch you dirty Jew walking on my lawn again, I will get my gun and shoot you.” At nursery school, she made a good friend and began to enjoy after-school playdates. One day, when she was being picked up by her parents, they were told the family had become ‘born again’ and Jews were no longer welcome in their home. Nisi’s family moved to New York City before she entered kindergarten. With her memories of being discriminated against as a Jew and her long time liberal progressive Democrat history, with high hopes Nisi joined the tens of thousands of women who participated in the 2017 Women’s March challenging the Trump regime on a wide variety of issues—not the least of which was that Trump had attracted a deeply racist and anti-Semitic, alt-right following. So it was profoundly disappointing when the Women’s March began showing its own strain of anti-Semitism cloaked in its continuous anti Zionism proclamations and actual bullying of Israel-supporting, liberal Democrats. Early on, at a lesbian march in Chicago, three women carrying Jewish pride flags–rainbow flags embossed with a Star of David — were thrown out of the event after their flags were called a “trigger.” Gradually, it became clear to Jacobs that the Women’s March—which purported to be a movement supporting equality, human rights for all, and transformative social change—was being severely compromised by what felt like anti-Semitism at the very top. WoMen For All is the grassroots movement that advocates for equal rights and against all forms of bigotry and hatred. Jacobs’s board comprises a diverse, core group of decision-makers, all of whom felt marginalized by the Women’s March. “Our board includes people from all backgrounds, ethnicities, races, religions and gender identities,” notes Jacobs. WoMen For All is primarily concerned with promoting equal rights for all. They advocate for gun reform, paid family leave, reproductive rights, an equal, gender-blind pay scale, and civil rights protections for all immigrants, amongst other things. Moreover, they vocally oppose racism, homophobia, religious prejudice, and police brutality. And close to Jacobs’ personal experience, WoMen For All pursues the objective of making people more aware of the current wave of anti-Semitism in America and across the globe. “Anti-Semitism doesn’t seem to register to most people as an urgent issue,” states Jacobs, who is trying to make her audience aware of the danger of pro-BDS (Boycott, Divest, and Sanction Israel) candidates in the United States. The group is calling out the fringe “Democratic Socialists” who have adopted the BDS movement as part of their platform. When Katonah resident Maria Colaco saw Dawn Greenberg’s Chappaqua Friends of Hill & Tim Facebook post suggesting an Election Day flash mob honoring the hometown nominee by wearing her attire of choice, she jumped at the chance to organize and choreograph. 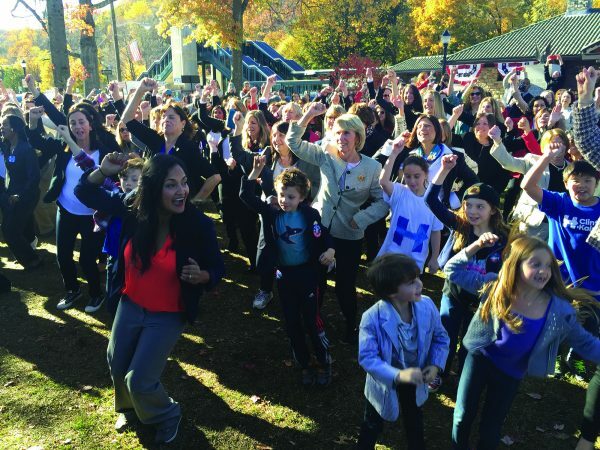 At 1:30 p.m. on Election Day, the 115 pantsuit-clad dancers were joined by newcomers and children in front of Chappaqua Station for a joyful and electrifying performance that rapidly “went viral;” within hours, the video appeared on people.com, all of the major U.S. networks, and many domestic and international websites. Even though the Facebook group was created as a centralized organization tool, it has turned into a community for its members in the aftermath of the disappointing election, now looking ahead as to how the Election Day energy can be harnessed and utilized effectively. Colaco is hoping to take the Pantsuit Flash Mob to the “next level” by teaching it via video to any group interested and repeating the event nationally on January 20 (Inauguration Day), which she has also proposed be a national day of Acts of Kindness–everything from public art, crafting with children and adults at local hospitals, painting rocks and leaving messages of hope around neighborhoods for people to casually find, playing music in nursing homes, to helping friends and neighbors or at a food pantry. Chappaqua resident Debra Hand is a longtime writer and editor for The Inside Press. No doubt about it, the tough job of responsible parenting was made all the more daunting recently as many here in Hillary Clinton’s hometown grappled with the shock of an unexpected election outcome. Our nation voted in a way that surprised most political analysts, advance polls and, certainly, the numerous loyal local supporters who gathered early on Election Day to perform an exuberant flash-mob pant-suit dance at the train station. As schools were closed, many of these celebrants had their children with them as well. The weather was brilliant, the mood was buoyant and all seemed lined up for voters to elect a first female president. Then the numbers started coming in. People shook their heads and refreshed their browsers; what??? how??? And so it went. After a long night–following what felt like an over-long election year–many were stunned and deeply saddened, but they also knew they would need to gather themselves and move on. 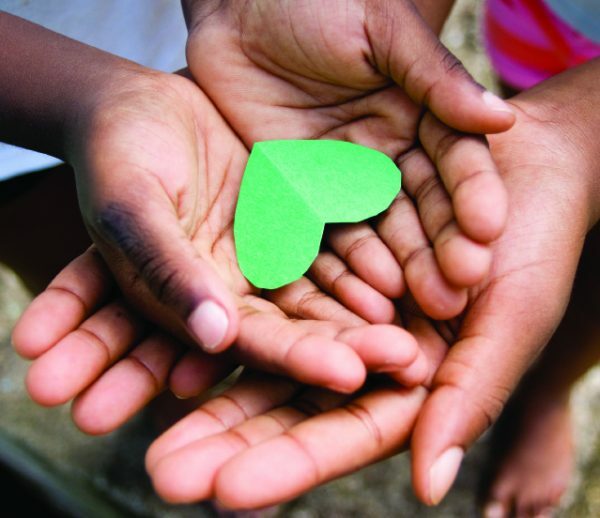 In fact, for many in our community and across the nation, the need to process and regroup was driven most by that which is primal to all parents–how to talk to our children. According to Chappaqua Child Psychologist, Dr. Sheri Baron, the first thing parents need to do is check in with themselves because, regardless of what the issue is, “a child will pick up anxiety from the parent.” With parents emotionally invested in the election outcome, children may well end up feeling worried and fearful. Some may be able to verbally express their concerns, which will help parents begin a reassuring conversation. She reminds us that younger children (eight and under) take things more literally than do adults and older children, so, for example, “moving to Canada” may loom larger and more realistic than its intended metaphor; speak carefully, explain fully. Speaking of explanations, O’Leary suggests we make sure children understand our country’s system of checks and balances and that no one person, even the President, is all-powerful. Last but not least, she reminds us to send a clear message that we are here for our children whatever their fears and concerns –about this or any other matter. Founding director of Sinai and Synapses, rabbi and parent Geoffrey Mitelman remembers that when he kissed his children good night on the eve of the election, he also shared his wish that they would all wake up to a Clinton presidency. As adults, we know that wishes don’t always come true. Mitelman ended up processing the evening’s events with deep sadness but also an attempt to understand the alternate perspective, “And then I watched, in slow-motion, the unraveling and potential undoing of everything that I hold dear. How do we “create” order and goodness? For many, it’s not just talking the values and respect talk, it’s walking the walk; in other words, modeling behavior for our children. One out-of-state, African American friend-of-friend (who spoke on condition of anonymity) explained that she sat and watched the election results coming in and felt heartbroken and distraught. Action is also of paramount importance to Los Angeles mom and Pomona College Gender Studies Professor Kyla Wazana Tompkins. Tompkins, a Canadian citizen, has the unique perspective of one who watched the election closely while not being able to cast a vote. She allowed that she’d been ambivalent about becoming a citizen but now feels more strongly than ever that she must. Rabbi Jonathan Jaffe’s immediate thought for his Temple Beth El congregation was to create a healing Shabbat service, one co-led by the 7th grade B’nei Mitzvah class, offering a “safe place for individuals of all political persuasions to gather, connect and be present for one another.” On a more personal note, as a father, he too had to give careful consideration to the narrative he’d use to reassure his two young daughters. He carefully explained to them that though Donald Trump’s win would not immediately impact their lives, it might very well mean others’ lives would be made harder, and that they should consider themselves both fortunate and obligated to fight for the rights of vulnerable citizens. Asked whether he’d considered the prospect of moving to Israel, Jaffe responded, “We’re American Jews, committed to our country. I don’t glorify leaving when times get tough. If people do choose to make Aliyah, it should be for the love of Israel and not the fear of America.” If his girls want to become dual American Israeli citizens, there is time for that later. For now, life moves on here in Chappaqua. 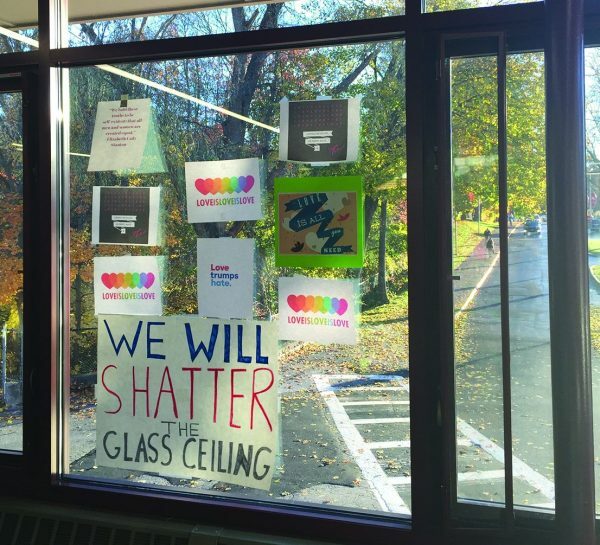 Chappaqua’s Beth Besen is a writer and editor, a parent and a concerned citizen who hopes that together with our children, we can create a better world. The past year has been long, exhausting, dispiriting, and difficult. Women and minorities have repeatedly felt victimized and attacked in ways that most of us thought–at least hoped were disappearing from our society. But in the midst of endless insults and hatred, there was hope, togetherness, and an intense desire for continued progress as a nation. Those lights in the darkness were thanks to a campaign run on the platform of being “Stronger Together.” Thanks to former Secretary of State Hillary Clinton, there was and is hope in a seemingly hopeless time. I have been “with her” for a long time, and that will not change now. But it is not just because she is a woman; I am still with her because she fights for the good in our country and believes in the potential of each and every one of us–even those who do not trust her or voted against her–to be positive agents of change and progress and contribute productively to society. I know Hillary is not perfect; no politician or person is, no matter their actions, beliefs, party loyalties, or rhetoric. It is impossible to satisfy everyone, and it is also impossible to never make mistakes. But it cannot be denied that Hillary Clinton has spent decades of her life dedicated to bettering society and in constant devotion to public service. Indeed, Hillary has always fought for young people and for the future. She has focused on social issues, something so many millennials are distinctly passionate about. As seen from a map circulating the internet following Election Day, young people aged 18-25 overwhelmingly voted “blue” because they believe in the same things Hillary and the Democratic Party do. From being an instrumental part of the Children’s Defense Fund to protecting 9/11 First Responders to her groundbreaking statement “human rights are women’s rights, and women’s rights are human rights,” Hillary has played an important part in bringing crucial, necessary, and timely issues into the national spotlight. Hillary has advocated for early education, sensible gun control, affordable healthcare and college, fair and equal wages, combating climate change, justice, unity, and progress, amongst countless other things. She believes in the rights of women and minorities and in equality. In hope. In the inherent goodness of all of us. Despite how the election unfolded, I still believe in these things, as does much of my generation. Hillary believes in us. She always has. Now is the time to take the intelligence, class, and dignity she has shown and use it to drive our fight for what’s right and for the good that does exist in our country. As my 17-year-old sister, Gillian, posted on Facebook: “We must look to the future and come together, strong and united. We must fight for what we believe in. We must embrace one another with acceptance, camaraderie, and love.” We must follow the example Hillary has set and continue to push for what we believe in. She has fought tirelessly for us and for the things we care about, and now it is our turn to take action. It is now up to us, the generation of the future, to continue the fights Secretary Clinton has fought for so long. Thank you, Hillary, for continuing the fight and inspiring so many, myself included. Thank you for constantly working for the future and for pushing our nation towards progress and equality. Thank you for being a role model for millions of young girls and women who, because of you, believe they can do great things, even run for President. Thank you for starting us on a path to fighting for what we believe in. Thank you for your wisdom, grace, sincerity and strength in the face of endless adversity. Thank you for making history. Truly, thank you for everything. 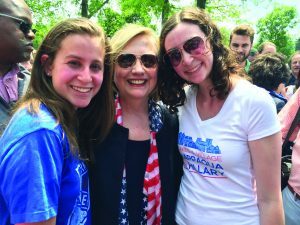 Two-time Inside Chappaqua Guest Editor Lindsay Hand is a junior Communication major at Cornell University.